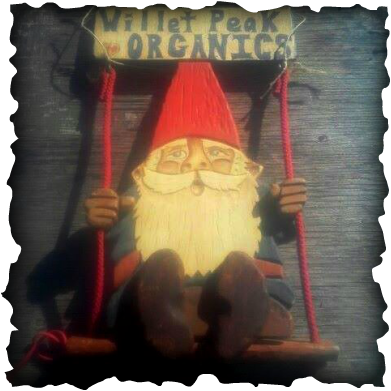 This season Willet Peak Organics is fully Certified Organic. Our focus is on producing CFIA Certified disease-free Seed Potatoes for Local Kootenay Market gardeners and the homebased, green-thumb garden lover. 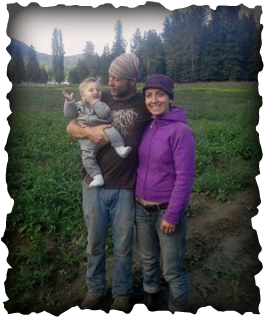 ​ Willet Peak Organics will take the legacy of generations of farmers and carry that knowledge forward in a way that nutritiously feeds the future. We delight in growing alongside our neighbors and customers to provide a trustworthy variety of options to contribute to the love and care put in the soil and onto plates for years to come. We offer our 8 varieties of Organic seed and table potatoes as a testament to the home grown difference we can all taste. We are working under the mentorship of experienced potato growers and farmers who wish to see a thriving seed business in the Lardeau Valley. Our motivation comes from a deep feeling of love for working the land and feeding our communities. We are committed to providing nutritious Organic potatoes as part of our contribution to the health of our valley and the planet. The Lardeau Valley gives the most precious gift of clean water and organic soil full of vital nutrients that make our work as farmers a blessing. As a result abundant crops are produced. Food production is vital to strengthening our Local Economy because the vast landscapes of the West Kootenays create higher costs in transportation for imported foods. Food security is of great importance at this time of unpredictable climate changes and high cost of transportation. The development of Willet Peak Organics Seed Potatoes is another step in the direction of local and regional sustainability. Full bellies and healthy minds are the ingredients we need to cultivate for a vibrant community contributing to the betterment of society.